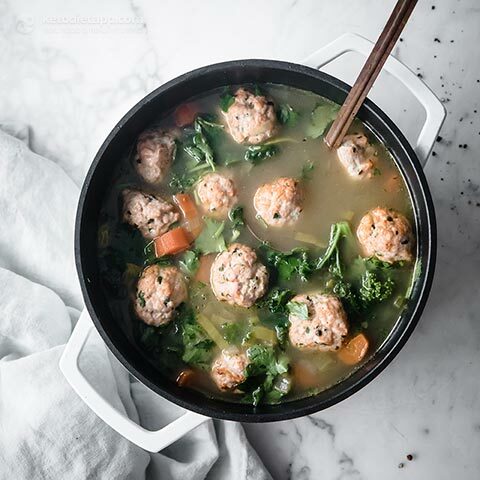 There’s nothing like a good chicken soup to whip up if you’re feeling under the weather or in need of some good nourishing comfort soup. 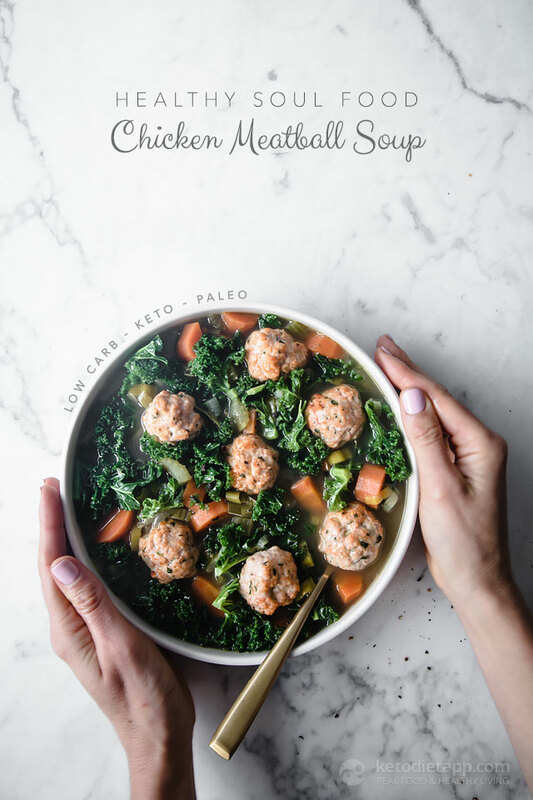 This Soul Food Chicken Meatball Soup is my fun spin on chicken soup with super tasty blender meatballs that take minutes to prepare. It&apos;s great if you’re starting out on a low-carb diet and suffering with keto-flu. It&apos;s full of electrolytes and gut healing broth that will help starve of symptoms. This recipe makes 3 to 4 generous servings that can be served as mains, or 6 to 8 appetiser sized servings. Preheat the oven to 180 °C/ 355 °F (fan assisted) or 200 °C/ 390 °F (conventional). 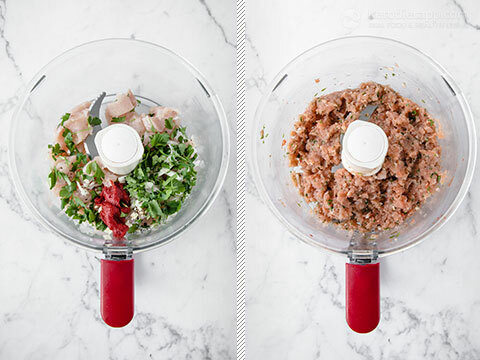 Make the meatballs by placing all the chicken meatball ingredients in a food processor and blitzing until combined. Roll into small meatballs. The mix should make 16-20 meatballs in total (about 28 g/ 1 oz each). 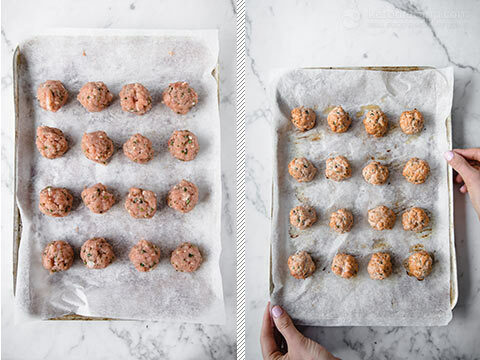 Place the chicken meatballs on a greaseproof lined baking tray. Brush with 1 tablespoon of melted ghee. Bake in the oven for about 20 minutes until cooked through and golden. 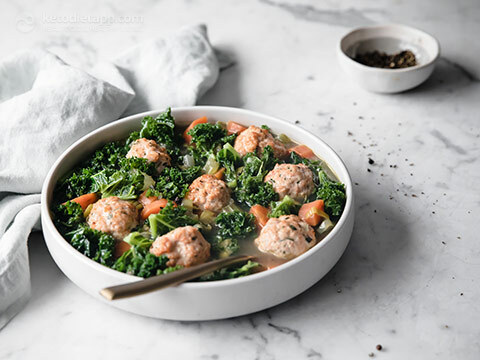 Note: If you are short on time, skip the baking and simply add the raw meatballs to the soup after you pour in the stock (step 6). Meanwhile, prepare the soup. Melt the butter in a pan and fry the onion, celery and carrot on a medium-low heat for 4–5 minutes, or until they start to soften. 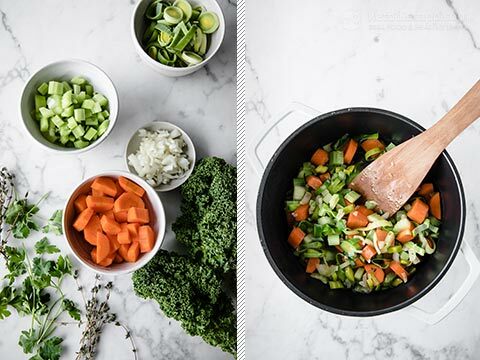 Add the stock, thyme and season. Bring to the boil then reduce the heat to medium-low and simmer for 15 minutes. Add the kale for 1–2 minutes until it softens. Taste, adjust seasoning as required. 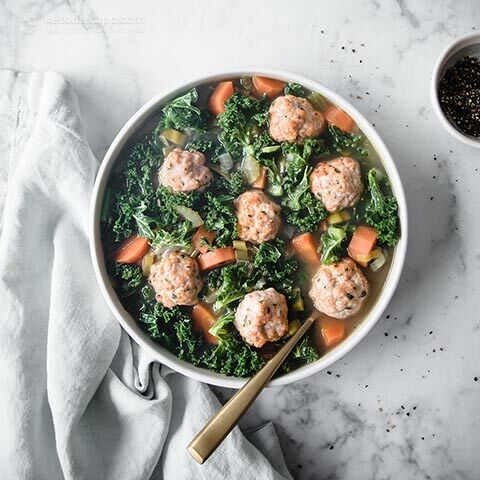 Stir through fresh parsley and top with chicken meatballs. Enjoy hot or let it cool down. Store in the fridge for up to 4 days, or frozen for 3 months. Can't wait to try this. Can we use a slow cooker or instant pot with this recipe? Just made this tonight with homemade chicken stock. It was a hit! Will definitely make again! 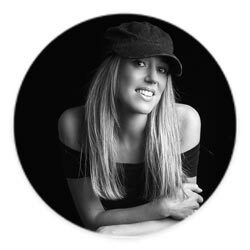 Thank you Tanya, I'm glad you enjoyed!